From the Unpublished Diaries of Rev. 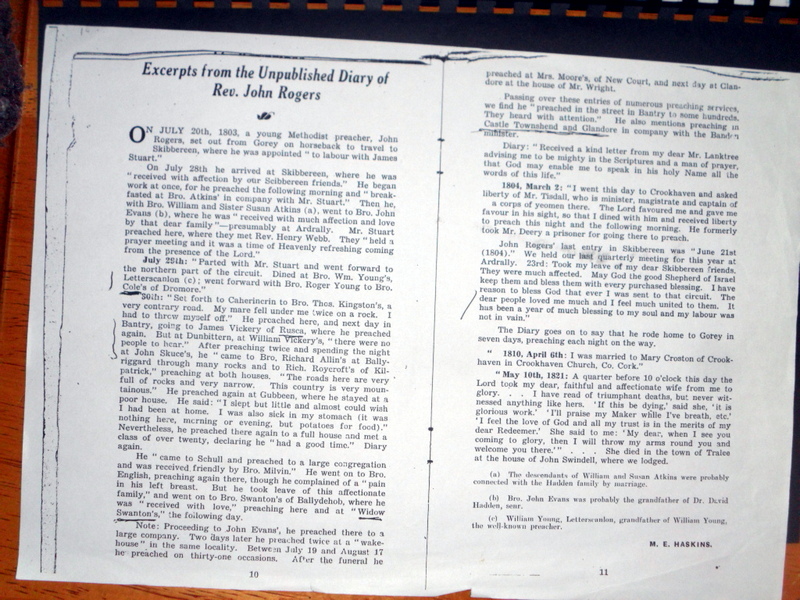 John Rogers. Staying with Poor Methodists in Gubeen, Schull, West Cork, 1803, ‘I slept very little, adn almost wishes I was home, I was sick in my stomach, nothing but potatoes morning and evening’ He later Married 1810 Mary Croston in Crookhaven Church. 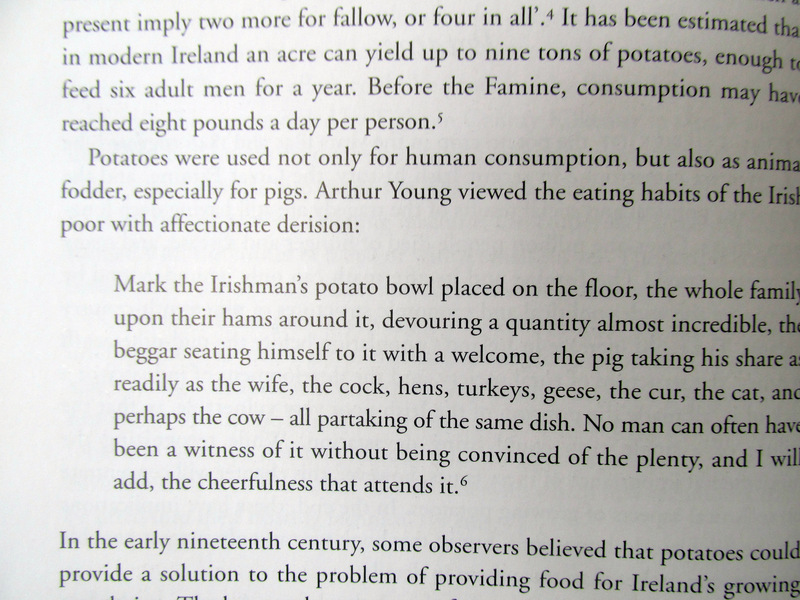 Arthur Young 1770 on the Irish predilection for potatoes.